Whether you are already signed up on the Motability Scheme or looking to apply for it, our helpful Motability specialists will help you with whatever questions you might have, including those about eligibility. Our Motability team can assist you through the application process and advise you on the adaptations or conversions you might need to support your circumstances. 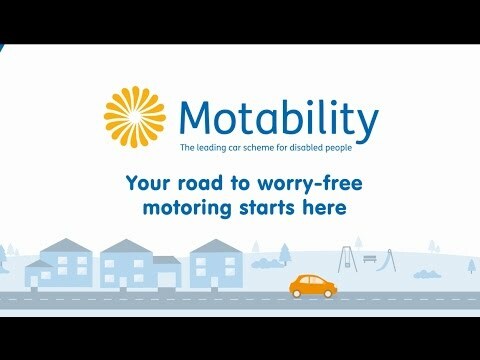 We are proud to be the Motability Specialist of Mablethorpe, Lincolnshire. The range of Ford cars we have on offer are perfect for Motability customers thanks to their good looks, accessibility and sturdiness. Models such as the Fiesta or Focus have plenty of technology that will help you every step of the way and make driving as comfortable as ever. If you would like to find out more about the Motability scheme or enquire about our great offers and Motability service, contact Seacroft Ford in Mablethorpe, Lincolnshire today to speak to one of our Motability specialists. Our Motability Specialists can help you choose the car to suit you best. To find the one that’s right for your needs, it’s important you experience our cars first hand. Can you get in and out of the car easily enough? Is there enough room for everything you need to carry with you (e.g. mobility aids, wheelchairs, etc.)? Can you use the controls easily as they are, or do they need to be modified for you? When you’ve decided on your car, your Seacroft Specialist will set up your agreement by entering your details, and those of the car, into Motability online. The price is now guaranteed against that vehicle from this point. At this stage, a wide range of adaptations can be ordered and these will be ready for you when you collect your car. Motability check your eligibility with the Department of Work and Pensions and confirm back to your Dealer that they can place an order for your Ford vehicle. Seacroft Ford will then be able to advise you when your new car will be delivered, which could be as little as a few weeks. Once your delivery date is confirmed, we will finalize your insurance. When you go to collect your car, we will give you a thorough handover so you’re familiar with the key features. To finance your car, you’ll also need to enter a PIN,number given to you by Motability to sign the hire agreement between yourself and Motability Operations. You are now free to enjoy your new car from Seacroft Ford. Our Motability Specialists can help you choose the car to suit you best. Any of us can help with your Motability needs. Welcome to Seacroft Ford. To optimise your experience, cookie settings on the website are set to allow all cookies. By continuing your journey throughout the website, you consent to this. You can change these settings here.